I make no apologies for stuffing spaghetti bolognese into bread rolls, it tastes good, especially with a sprinkling of Parmesan cheese. A quick and easy kid-friendly dinner. Add a splash of olive oil to a saucepan, tip in the garlic and onions and sauté for 5 minutes. Add the mince and brown over a low heat. Tip in the chopped tomatoes and oregano. Bring the pan to the boil, then reduce to a simmer and cook with the lid on for around 20 minutes. When the bolognese has just 10 minutes left to cook, cook the pasta as per the packet instructions. 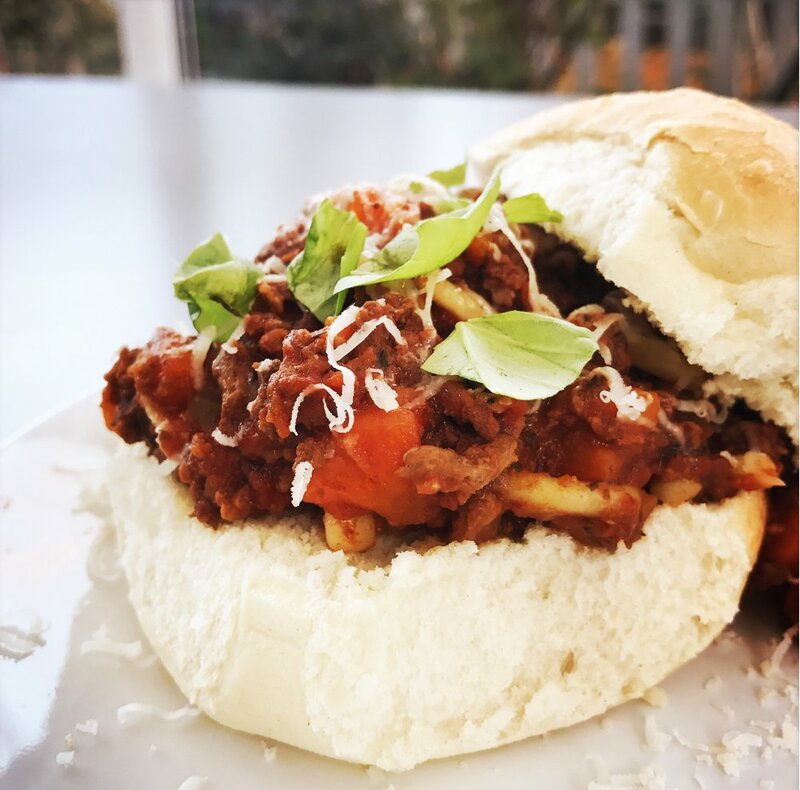 Mix the spaghetti and bolognese together and serve stuffed into crusty bread rolls with Parmesan shavings. Skip the Italian seasoning and throw in some chilli powder and ground cumin and go with a Mexican flavour. Keep them plain and skip the seasoning all together. 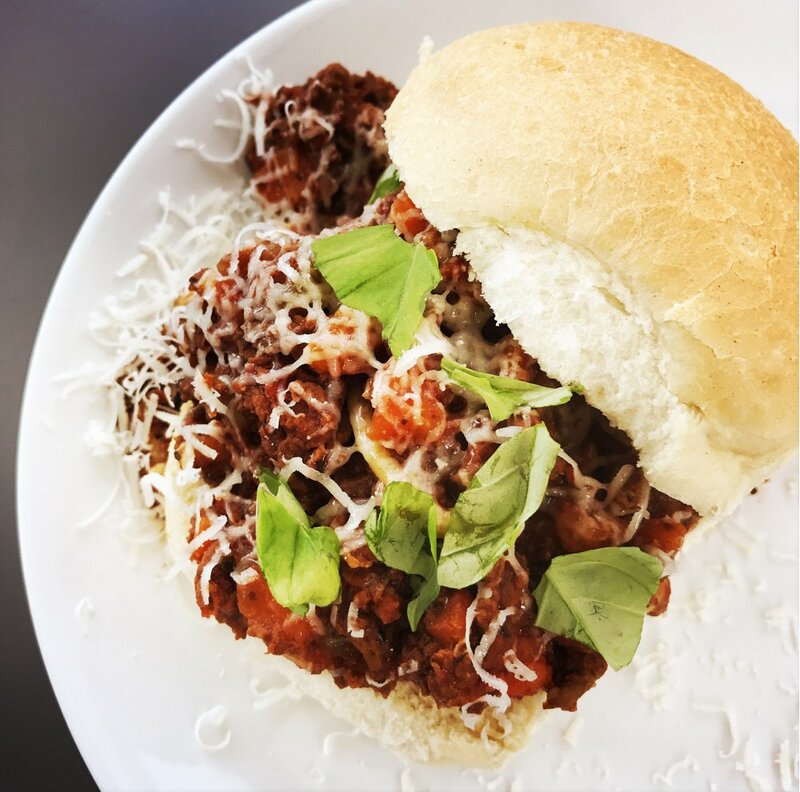 We like our bolognese sloppy joes served in crusty white rolls with Parmesan and a salad on the side. You could serve these with our without the pasta. Try them in toasted ciabatta rolls.